The sun has been shining this week, and the cherry blossoms are in full bloom where I live. It has been wonderful to work outside. I love opening the windows and smelling the clean, warm air from the outdoors. 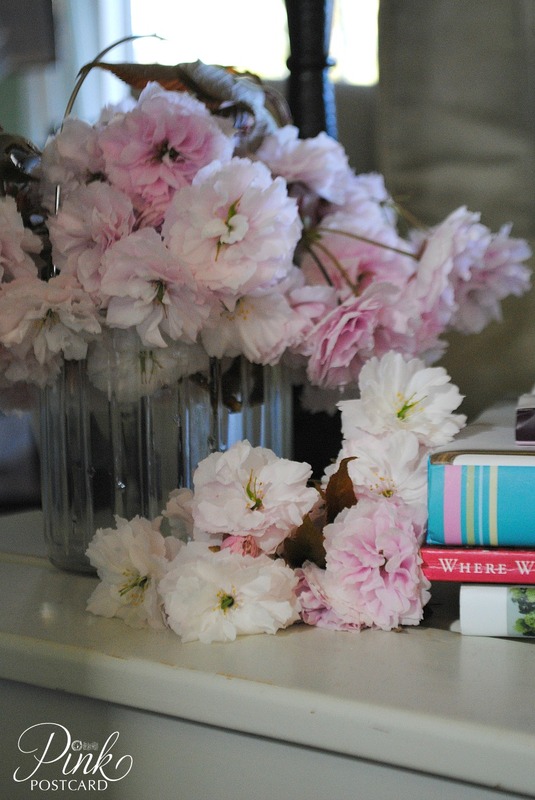 I decided to cut a few cherry branches and enjoy the fluffy pink flowers in our home. They don't have a scent, but they really are so fluffy, it's like holding little pink ruffled cotton balls. 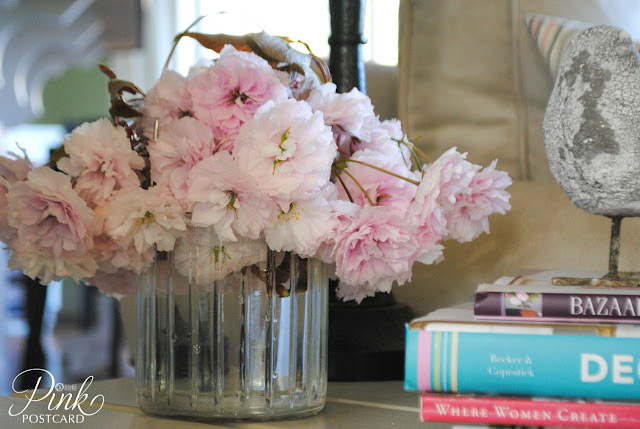 The branches were so loaded with blooms, that I had to take a few off the cut ends so they wouldn't be hidden in the vase. So I just made a smaller arrangement with the extras. I hope your day is filled with beautiful things that make you happy! Oh how pretty. What a wonderful way to enjoy spring. The cherry blossoms look so great in the house. I love the feminine fluffy look they have! Now I want to bring some in too--my husband doesn't think I should be pruning trees in the name of decorating :) I like to call it bringing the outside in. :) Enjoy this beautiful time of year! Beautiful pics! Spring is also starting in Bavaria, finally! I really like your style! 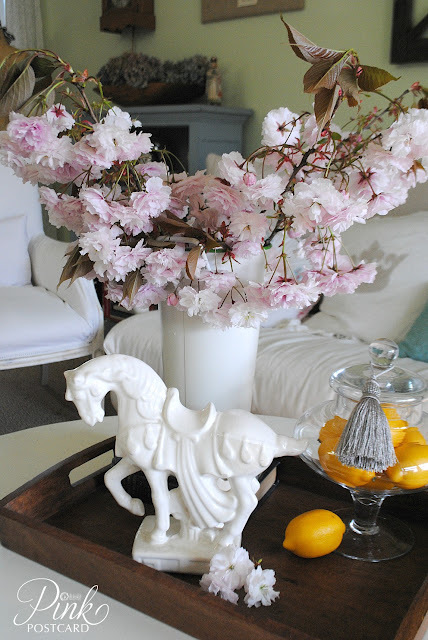 Cherry blossoms are one of my favorites as well as daffodils in the Spring. 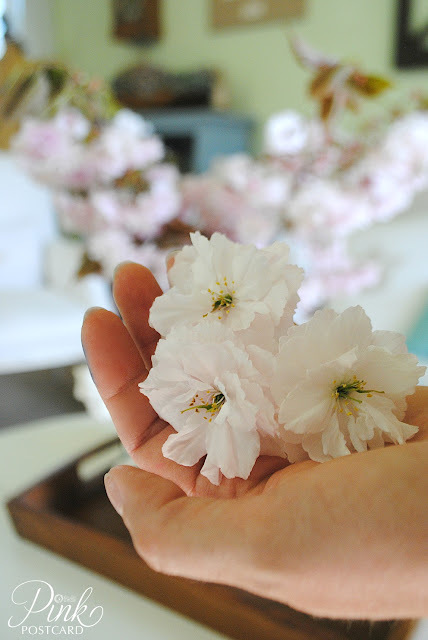 Our weeping cherry blossoms just popped open yesterday and it is so beautiful and they are so delicate. 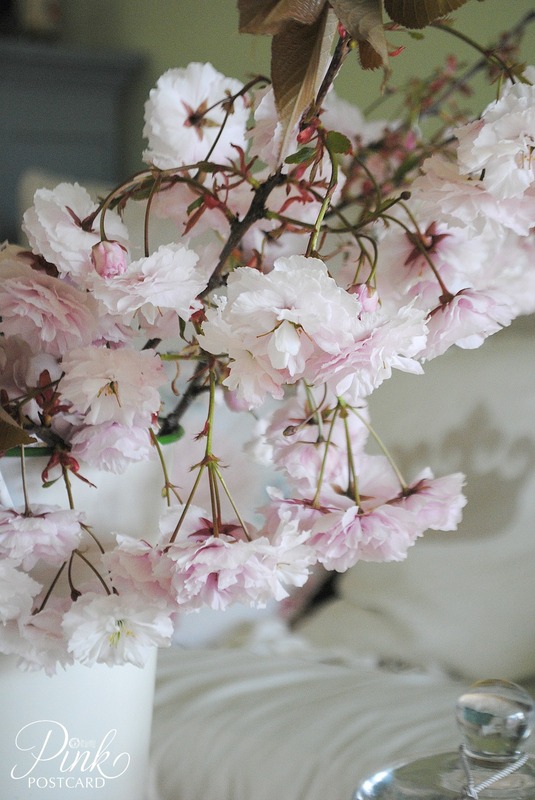 As I read your post I look right out my window at our cherry blossom and I am off to cut some branches. Happy Friday.